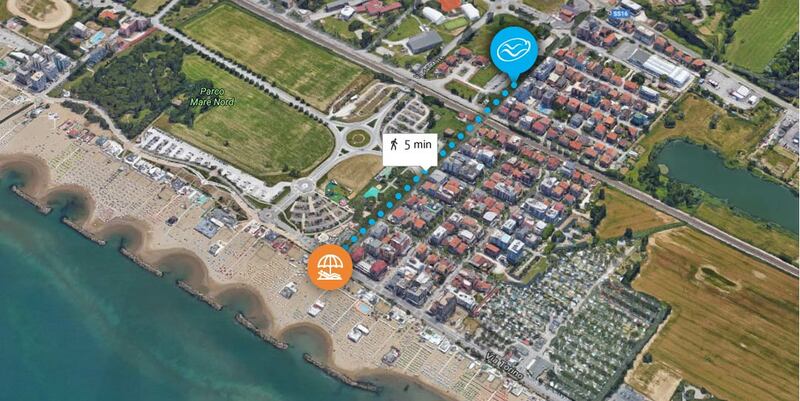 Our hotel is situated in Misano Adriatico, just 5 minutes from the beach, in a quiet location close to a pedestrian island where there are ice-cream parlors, bars and shops. You will reach your beach umbrella with a short walk along a tree-lined street and start your sunny day in the most relaxing way. Along the way you will find the Parco del Sole (Sun Park), a shaded space with Baby Park, five-a-side football pitch, basketball court and bowling alley, where you will spend hours of fun in the open air. This place hosts many parties with entertainment, live music, markets and much more. NEWSLETTERGet a preview of our offers!